Energy Sistem has announced a new update to their Android tablet range in the form of the Energy i8 Android tablet that will be arriving later this month for around $227. 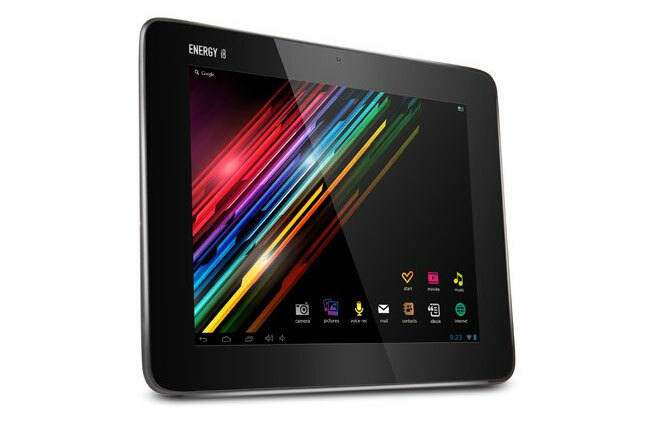 The Energy i8 tablet is equipped with a Arm Cortex A8 processor clocked at 1GHz, supported by 1GB of RAM memory, all encased in an sleekak aluminium body and fitted with a multi-touch 8 inch 4:3 format screen. Onboard storage is provided by 8GB of internal memory with and extra 64Gb available via the microSD/XC card slot. Its also equipped with a VGA front-facing camera and a 2 megapixel rear facing camera. The Energy i8 is also fitted with a HDMI-out offering full high definition playback at 1080p, and will be running Android 4.0 Ice Cream Sandwich when it arrives in stores on August 23rd 2012.